South District of Sikkim lies at an altitude of 400 mtr to 2000 mtr with unique and countryside escape of endless waves of agricultural field and the terraced slopes intercepted by spring patched forest and encompasses a total area of around 75000 hectares. Area wise it is the smallest district of Sikkim and population-wise second one. Its total population is 1,46,742 (as per 2011 census) among which 76,663 are male and 68,241 female. Namchi or Namtse (meaning Sky High) is the headquarter of South Sikkim which is nestled among the hills having elevation of 5500 fts and which commands panoramic view of snowcapped mountains and vast stretches of valley. 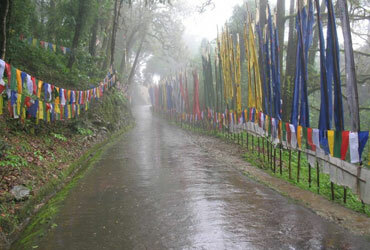 Sikkim is a small state and has been divided into four districts viz- East, West, North and South. South Sikkim, with its district HQ as Namchi is gifted with tremendous natural beauty. It keeps the high potentiality of tourism with its flora and fauna and rich cultural heritage. Namchi meaning "Sky High" is a small beautiful picturesque town, nestled among the hills of the young Himalaya's. One can have a panoramic view of the Mt. Khanchdenzonga & Samdruptse from Namchi. 78 kms from Gangtok, Namchi, literally translating as "top of the sky" is the South district headquarters and fast emerging as a tourist destination. Set in a picturesque location, Namchi offers an unmatched view of the Khangchendzonga range and the Rangit valley. Here you can visit the Sherdup Choeling Monastery and the Dichen Choeling monastery. Around two kms from Namchi is the old Ngadak monastery which is now being renovated. Situated on a hill just above Ngadak monastery is the very attractive Rock Garden, which is full of rare flowers and plants and also offers breathtakingly beautiful views. 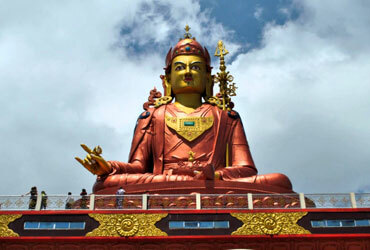 The 135 feet high statue of Guru Padamasambhava is present at Samdruptse near Namchi at a distance of 75 kms from Gangtok. Samdruptse literally means "wish fulfilling hill" in the Bhutia language. A unique, awe inspiring and gigangtic 135 feet high statue of Guru Padamasambhava is installed atop Sampruptse. It is the highest statue of Guru Padamasambhava in the world. His Holiness the Dalai Lama laid the foundation stone of the statue in October 1997. It took nearly three years to complete the statue. Samdruptse literally means "wish fulfilling hill" in the Bhutia language. Situated near Namchi in South Sikkim, it is at a distance of 75 kms from Gangtok. A unique, awe inspiring and gigangtic 135 feet high statue of Guru Padamasambhava is installed atop Sampruptse. It is the highest statue of Guru Padamasambhava in the world. His Holiness the Dalai Lama laid the foundation stone of the statue in October 1997. It took nearly three years to complete the statue. Guru Padmasambhava also known as Guru Rimpoche had blessed Sikkim more than 1200 years ago. The statue is therefore a fitting tribute to this patron saint of Sikkim. The statue funded by the State Government was constructed and installed by His Eminence Dodrupchen Rimpoche and members of his Chorten trust. The installation was conceptualised by Shri Pawan Chamling, the Chief Minister of Sikkim and he remains the motivating and guiding force behind the entire project. The Temi Tea Garden on the way to Namchi, established in 1969 by the Government of Sikkim, is located in South Sikkim in the northeastern Indian state of Sikkim. 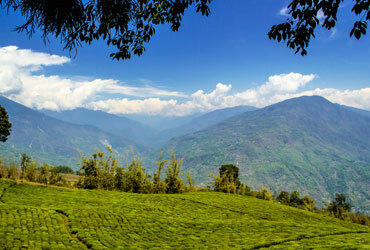 It is the only tea garden in Sikkim and considered one of the best in India and in the world. Top quality tea is produced, which is in demand in the international market. The garden is laid over a gradually sloping hill. The tea produced in this garden is also partly marketed under the trade name Temi Tea. 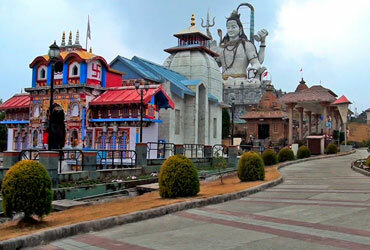 Small but beautiful Sikkim is blessed with an outstanding Sri Shridi Sai Baba Temple situated is Assanthang, a couple of kilometers away from the district headquarters of Namchi. The temple is a religious and pilgrimage center dedicated to the people of Sikkim by the honorable Chief Minister, Dr. Pawan Chamling. 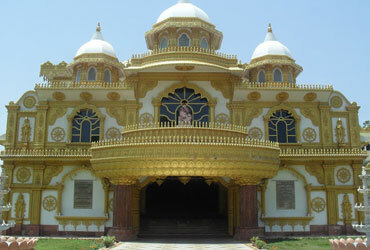 It is a two storied building displaying the modern architecture; the ground floor accommodates devotees for singing hymns in praise of Shridi Baba and the first floor provides dwelling to the marble statue of Sri Shridi Sai Baba and ten other beautiful paintings of Lord Vishnu (Hindu God) in ten different incarnations. The temple is surrounded by a beautiful garden from where one could get a panoramic view of Mt. Khangchendzonga. Solophok Chardham Lord Shiva incarnated as Kirateshwar in Indrakeel (Present Sikkim). Therefore, in this incarnation he is locally worshipped by the people of Sikkim as Lord Kirateshwar. A statue of 16 1/2 feet height of Lord Kirateshwar is also installed in the complex. In order to attain Moksha, the Hindu belief is to perform pilgrimage to all the existing four Dhams. Thereby, replicas of these four Dhams, namely Badrinath, Jaganath and Dwarka dedicated to Lord Vishnu and Rameshwar, dedicated to Lord Shiva is also constructed.